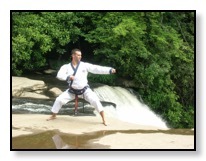 Tang Soo Do is a traditional Korean Martial Art. The history of the art traces Tang Soo Do back to a period when Korea was divided into three kingdoms. These were the Goguryeo was founded in 37 BC in northern Korea. The Silla Dynasty was founded in 57 BC in the south east peninsula. The third kingdom, Paekche was founded in 18 BC. After a long series of wars, the Silla Dynasty united the three kingdoms in 668 AD. During this period, the primitive Martial Arts were very popular as a method of self-defense in warfare. The united Silla Kingdom was ultimately overthrown by a warlord, Wang Kun, in 918 AD. The new kingdom, "Koryo", lasted for 475 years (918 AD - 1392 AD). In 1392, the Yi Dynasty succeeded the Koryo kingdom. The Yi Dynasty remained intact for 500 years. During the 1000 year period of the Koryo Kingdom and the Yi Dynasty, Tang Soo Do became very popular within the military. The art also became very popular with the general public. 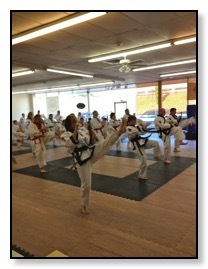 During this period, Tang Soo Do was referred to as Kwon Bop, Tae Kyun, Soo Bahk, Tang Soo and others. The first complete Martial Arts book was written at this time. This most important book is called "Mooyae Dobo Tangji". It was written in 1790 and contained illustrations that substantiated the theory that Tang Soo Do (formally called "Soo Bahk Ki") had quickly developed into a very sophisticated art of combat techniques. Tang So Do, as it exists today, is comprised of a combination of three major styles: Yang Tai Chi Chuan, Northern China and Southern China Kung Fu, combined with the Okinawan/ Japanese discipline of Karate-do. In fact, Tang Soo Do is the Korean pronunciation of the Hanja characters 唐手道 which is translated as “Way of the T’ang (China) Hand. In Japanese these characters mean Karate-do. 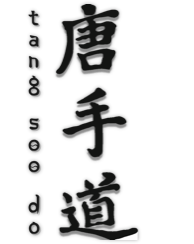 Currently, Japanese Karate-do is written as 空手道 The Japanese pronunciation of both sets of characters is the same, but the newer version means "Way of the Empty Hand" rather than "Way of the T'ang Hand"
The South Hills Karate Academy takes pride in the storied history of Tang Soo Do. 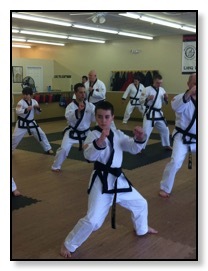 Virtually every Tang Soo Do School either affiliated with a large organization or an independent Tang Soo Do studio can trace it’s lineage back to the Moo Duk Kwan* (Institute of Martial Virtue). 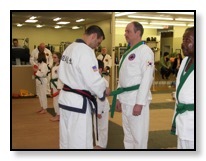 The Moo Duk Kwan, one of five original schools or Kwans, was founded around 1945 by Grandmaster Hwang Kee and it’s history is very unique. The South Hills Karate Academy can trace can trace it’s lineage back to the original Moo Duk Kwan through it’s founder Gene Garbowsky, Sa Bom Nim (ITF#26272), back through his two previous instructors, Kwan Jang Andrew Ah Po (#10187) Founder of The Tang Soo Do Martial Way Association* as well as Master Garbowsky’s original instructor, Kwan Jang Nim Chun Sik Kim (#915), Founder of the International Tang Soo Do Federation*. * South Hills Karate Academy nor the Independent Tang Soo Do Association makes no claim of current association with the Moo Duk Kwan, International Tang Soo Do Federation or the Tang Soo Do Martial Way Association. The information is provided for illustration of lineage and history only.